Cambridge based artist PYRAMID PARK release their debut album, Vulnerability. The newly formed PYRAMID PARK is a collective, led by song writer and worship leader Pete McAllen. Having a mutual Christian faith, the alternative pop artist and producer Iain Hutchison (Gloworm Studio, Glasgow) created the album, taking references from Phoria, Two Door Cinema Club and Gabriel Kahane. 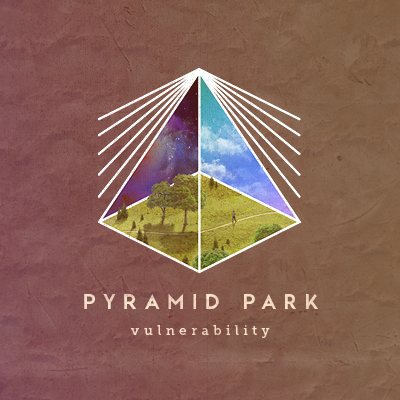 Read More Cambridge based artist PYRAMID PARK release their debut album, Vulnerability. The newly formed PYRAMID PARK is a collective, led by song writer and worship leader Pete McAllen. “The record was written in a time of personal struggle. As a consequence I couldn’t seem to write songs that meant anything to me, and I was frustrated with the ideas coming from my guitar playing. Much of this record has been about taking off the masks, writing really honest songs and in this, meeting with God again in a new way”, McAllen says. McAllen is a seasoned performer, having played at many events across the UK and Europe (including 2016’s Freakstock Festival, Germany and Graceland Fest, Netherlands). His passionate and thought provoking style capture crowds from big festivals to intimate house gigs. From the roaring guitars of the epic opening track 'The Unexplained' to the phenomenal track 'Mesmerised', the modern, funky and catchy 'Born To Brave' to the atmospheric 'Vulnerability', and the Ed Sheeran inspired 'Day and Night' to the alt-pop sounds of 'Caught In The Depths' - this album has everything. The biggest problem for this album is the fact that there is so much going on it really takes a good few listens to truly absorb all that is happening within each song! I would highly recommend getting this album and playing it again and again. You will hear new things and new sounds on each listen. This albums feels like a big mature step forward for Pete McAllen as he unleashes Pyramid Park on the world. It feels like a new season, even a new era. This album is not only exciting to listen to, it's also beautiful, emotional and creative. Pyramid Park stands up as a new wave of exciting music that is coming out of the UK. This isn't just one man and his guitar, this is a soul searching sound for a new generation.